As today is the day Americans celebrate their independence from us Brits ( looking back, I think on the whole a good move) , it is only fitting to return the spotlight from British jazz back onto to our ungrateful former colony, America. And when better than to one of my favourite vintages, 1956, and my personal favourite tenor, Hank Mobley. 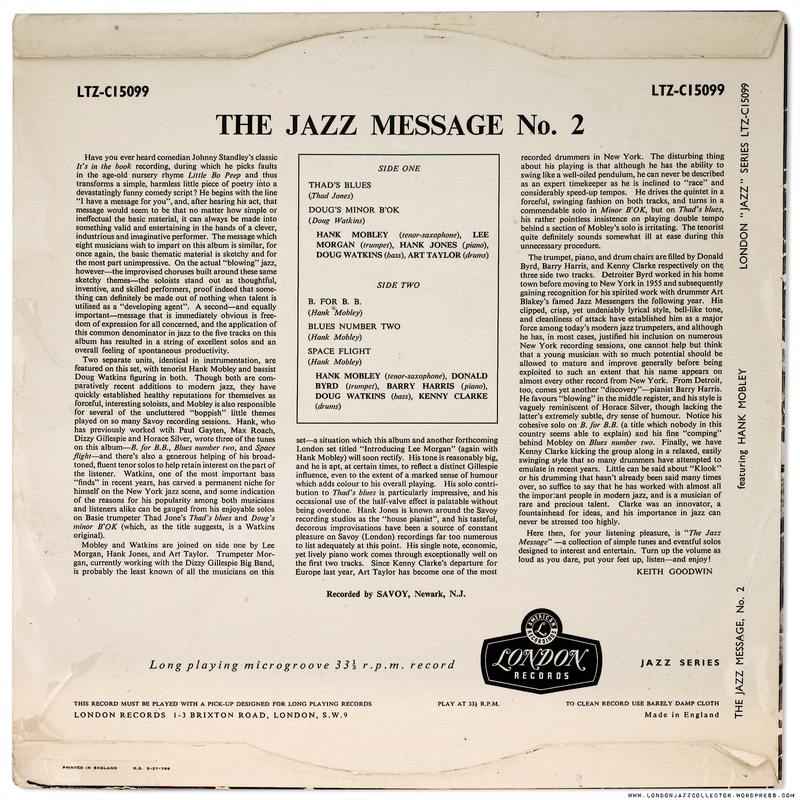 This day, LJC showcases Mobley’s “Jazz Message #2” (a Savoy recording). Not to be confused with “Mobley’s 2nd Message” (a Prestige recording), Mobley’s follow-up to his penultimate Message for a rival label. Message for Mr Mobley: who on earth thought up these titles? Because I’ve got a message for them, enough with the messages! I just ask you to overlook that the copy of this great American jazz recording … is on the… umm.. the London label. Well, you can’t have it all your own way. Happy Independence Day! Hope it all works out for you. (Not much sign so far). Hank Mobley Quintet and Sextet set out his stall through Prestige and Savoy recordings, including Mobley’s Message (Prestige PRLP 7061) Mobley’s 2nd Message (PRLP 7082), this session for Savoy, Jazz Message #2 (different recording, similar name) , and then leading his own Blue Note recordings, starting with Hank (BN 1540). This critical mass of young musicians set the course of jazz for the next few years, launching their own careers, growing in confidence, progressively stretching out the melodic, harmonic and rhythmic canvas beyond these early Hard Bop sessions. Here the tunes are up-beat, jaunty compositions, young voices finding their feet, hesitantly launching their solos, and a sign of what was to come, and long before careers were finally cut short by poor healthcare, bad drugs, bad driving, or in the case of Lee Morgan, unfortunately straight shootin’. The extra interest on the November 1956 session is the young Lee Morgan at age 17. Dates at Hackensack in November and December of 1956 were the genesis of Morgan’s earliest and most sought after Blue Note titles – November 5-7, Lee Morgan Indeed (BLP 1538), December 2, Lee Morgan Sextet (BLP 1541). This half of Hank’s Jazz Message #2 was recorded with the same line up at the same session as Savoy’s first Morgan title Introducing Lee Morgan Savoy (MG 12091). All these records now cost many thousands of dollars, apart from Hank’s Jazz Message #2, which is basically cut from the same cloth, but without the same price tag. Why wouldn’t you want it? 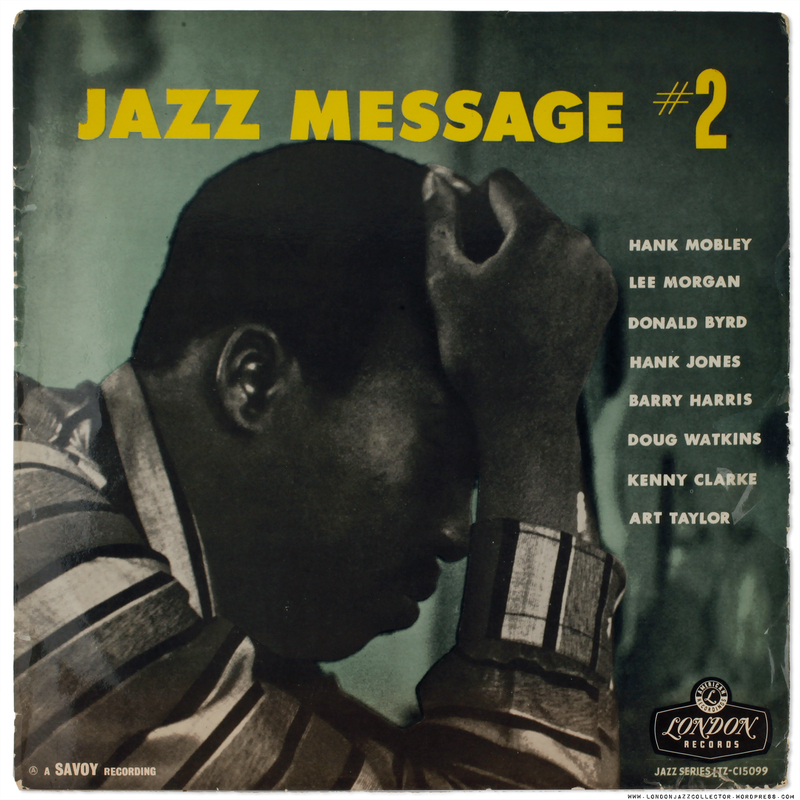 UK release of Savoy MG 12092 The Jazz Message Of Hank Mobley #2. Decca pressing. Cover photo of Hank sponsored by Paracetamol™ instant headache relief. I know it is meant to illustrate Hank trying hard to get his jazz message across, but just looks to me like a bad case of migraine. Art direction was not Savoy’s strongest suit. Is it just me, or are vintage jazz record prices rising out of reach of “ordinary ” collectors? Auction prices I used to second-guess quite well now frequently find me seriously outbid. One of my local record store has a wall decorated with 1960’s originals asking $500 a pop. Another London store owner recently wheeled out a collection of prized Blue Notes, mostly 4000 series in VG++/Ex condition, asking £400 each. There is a psychological phenomenon known as “gas lighting” (from a Hollywood movie of the same name) where if you are told the same thing often enough, say that the going rate for these records is say £500, you begin to lose confidence in your previous value hierarchy, and adapt to the new one. Suddenly £400 begins to sound quite reasonable for a Blue Note original. Or £500 even. It is not uncommon to see four figures mentioned for rarer titles, and I don’t mean real trophy records which have always been out of reach. I blame the Internet, through which the value of everything easily established, payment systems have no borders, and the postman can deliver to anywhere in the world. And then there are these damn record bloggers, virtual appetite-stimulants, no doubt a major cause of record-collecting obesity. One possible alternative I came across recently was in a chance conversation in a store with a record collector, who had just returned from Japan. He had brought back several hundred jazz original titles from Tokyo, flying business class for the baggage allowance, filled a suitcase, and a box following in freight. Was he a dealer? I asked. The reality was more complicated. It transpired that as a result of financial problems earlier in life he had been forced to divest himself of his prized record collection. Now back in the pink, he had taken on a life-changing mission to rebuild his collection the only way he could: from the place where most vintage jazz vinyl now resides: Japan. Not a bad solution, all in all. London Calls, Tokyo Answers. …and why do you call your game “football” when you pick up the ball with your hands and run with it? Ball…foot…Foot…ball, simples. Saturday July 7: Still in a state of shock England is still in the game! This entry was posted in Decca, Hank Mobley, Savoy and tagged Jazz Message by LondonJazzCollector. Bookmark the permalink. I’m a Yank headed to London in August for a family vacation. Would like to hit a record store or two – which ones do you recommend? 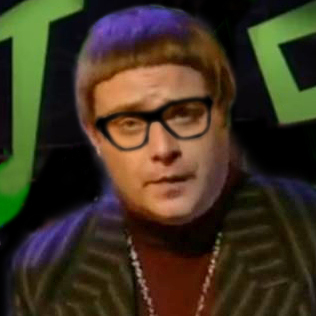 Will be shopping for jazz, soul, R&B, reggae and late 70s/ealry 80s post-punk/new wave. I consider myself a senior collector (I’m 65) and when I was in my late 20s I’d just begun looking for some originals. some records were already difficult to find, others were still at hand. prices were quite different from today. as a Cecil Taylor enthusiast, I actively searched for his first records that were rare to find yet. so I bought cheap reissues and enjoyed the music. getting into my 40s and on, I looked for the same records as originals. Live at Cafè Montmartre, Debut 138 came in 1998, The World of Cecil Taylor, Candid 8006 in 2002, Jazz Advance, Transition 19 came in 2001. of all of these I already knew the music, as I had reissues, now gone. one is missing yet: Nefertiti, Debut 148. I already own a good reissue with Marte Röling cover on Dutch Fontana 888609. my search is on. …but, but, but, I was saying: while the Music is usually the same on originals or reissues, I find a greater satisfaction owning and listening to my originals, carefully searched in over 50 years, carefully searched in at least EX conditions. maybe I’ve not grown up yet but when I play a record that has been reissued tens if not hundreds times as Blue Train and look at that NY 23 label my heart beats louder. I am quite familiar with that emotion..I didn’t mean to say that you should swap your original first pressing for the European equivalent ( do it only if you need the money).My advise was to look for a European issue if you are not able (or willing) to pay a ridiculous high price.The early European issues are( not always..)cheaper,look nice and in general sound amazing.It was meant as a consolation for those who start collecting. King George is looking better every day. Imho there is no reason to feel sad about not owning ” the original first pressing”.The most important thing is the music. As a jazzrecordcollector at age(81) I had in my twenty’s access to a lot of ” first issues”(as far as they were imported in Holland).At that time I hadn’t the slightest idea that they would become so valuable in the future.My only concern then was( and still is)the music and the sound. It is only five or six years ago that I discovered that the European pressings often sound as good or even better( vinyl quality?? )than the US- originals.An extra plus are the different designs and foto’s( J.P.Leloir) on the covers.I began to like the vulnerable ” flip- back” covers of the Vogue,London and Esquire labels.For that reason I started to collect European issues.In the beginning it was easy to find these records for very reasonable prices.As we all know” the market” has changed.Recently a simple Ammons session on Esquire went for near 500(!) dollar on Ebay.So don’t worry,your London pressing sounds excellent and will become collectable in the future.It is only a question of time.In the meantime enjoy the music!! !